Aramazd (Zeus) - The father of all gods and goddesses, the creator of heaven and earth. The first two letters in his name, "AR" is the Indo-European root for sun, light, and life. Aramazd was the source of earth's fertility, making it fruitful and bountiful. The celebration in his honor was called Am'nor, or New Year, which was celebrated on March 21 in the old Armenian calendar (also the Spring equinox). Ara Geghetsik- "Ara the Beautiful- the god of spring, flora, agriculture, sowing and water. He is associated with Isis, Vishnu and Dionysus, as the symbol of new life. 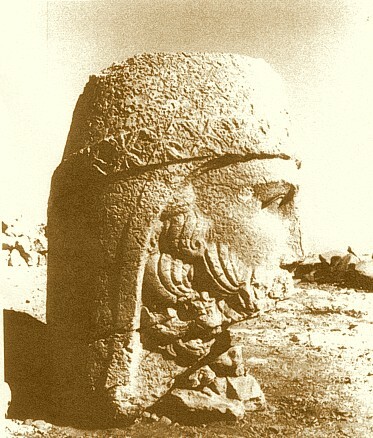 Haik - a king, but in legend the father of Armenia. He slew the Babylonian god Bel, which in history was Nemruth, the Babylonian king described in the bible as attempting to build the tower of Babel. Haiks armies invaded Babylon, and establish the kingdom from which Armenians claim their heritage. The legend of Haik is the forerunner of the legend of Hercules. I think this is a useful site for researches everywhere. I give a thumbs-up!